October 27, 2011: The Sania Nishtar Health Fund was launched at an event hosted by the Rockefeller Foundation in New York on September 20, 2011. The fund has been set up to support the work of Heartfile Health Financing and has been created with the Global Innovation Award that Dr. Nishtar received in July from the Rockefeller Foundation. Keynote remarks at the launch were made by Sir George Alleyne, Syed Babar Ali, and Dr. Mehmood Khan. Participating agencies included Partners for a New Beginning at the Aspen Institute, the American Pakistan Foundation, the World Economic Forum and the World Heart Federation. Further details about the Fund can be viewed here. October 26, 2011: The World Health Organization, at its recent World Conference in Rio de Janeiro, organized a ministerial panel on “Ensuing Equitable Universal Coverage” and convened policymakers and experts to discuss on-ground examples relevant to universal coverage health reform. 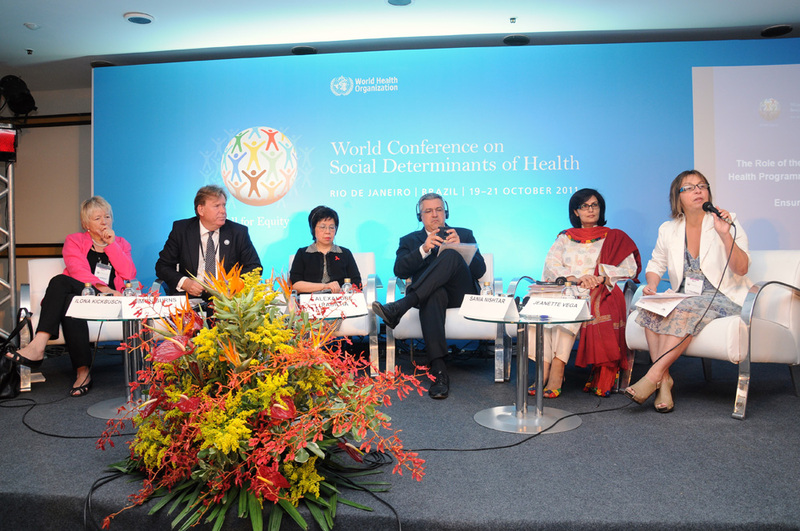 Panelists included Simon Burns, Minister of State for Health, United Kingdom; Alexandre Padilha, Minister of Health Brazil; Dr Jeanette Vega, Ex Minister of Health, Chile, Margaret Chan, Director General, WHO and our President, Sania Nishtar. The webcast of the session will shortly be available through this portal. October 20, 2011: Dr Saba Amjad from Heartfile attended the recent International Forum on Women in Science and Technology in Muslim Countries on 20-22 September 2011, in Kuala Lumpur, Malaysia. The title of her talk was, “Creating opportunities for Women Leadership in Health Matters in the Community” under the theme Muslim Women and Decision Making. There were representatives from 27 Muslim countries. 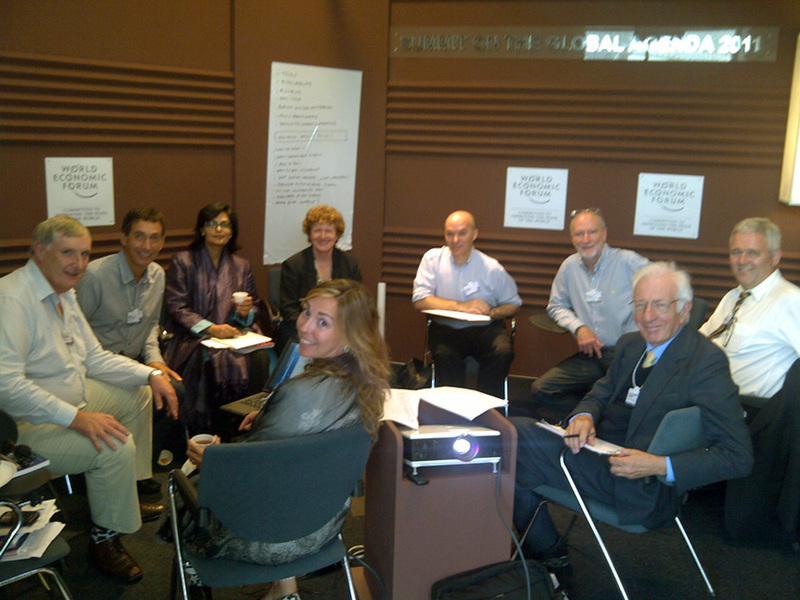 October, 18, 2011: At the recent captioned meeting in Abu Dhabi, the Global Agenda Council on Health and Well-being 2011, which is one of the World Economic Forum’s 79 Councils, focused on making a case for positioning health and wellness, as the potential fourth bottom line of businesses. The understanding is that performance, social responsibility and commitment to environmental protection are the existing three. Our President, Sania Nishtar, is a member of the council and attended the meeting. October 14, 2011: Our recent paper, “Heartfile Health Financing: Striving to achieve Health Equity in Pakistan,” has just been published on a World Health Organization hosted website for the World Conference on Social Determinants of Health. The conference commences on October 19, 2011. The paper is part of a series of case studies that present successful examples of policy action aiming to reduce health inequities. The paper can be downloaded here and background details can be accessed here.